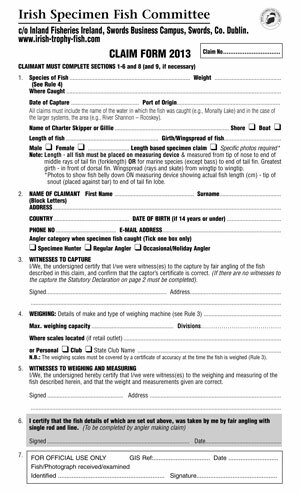 In 2005 the ISFC added a clause to Rule 4 which facilitated anglers who wished to present photographs for fish identification purposes instead of presenting a fish body. I have fished my way around the world, both ways, taking in all the exotic game fishing meccas on the way. However, I have to admit, I would sooner go to my beloved west of Ireland than any of these other lovely places. This is how much I value what the west has to offer. The ISFC is a voluntary body that relies entirely on funding from agencies and anglers in order to operate. In recent years our funding levels have been reduced substantially and this threatens our long term viability. If you value the work the ISFC does, we would appreciate if you could make a small donation here.